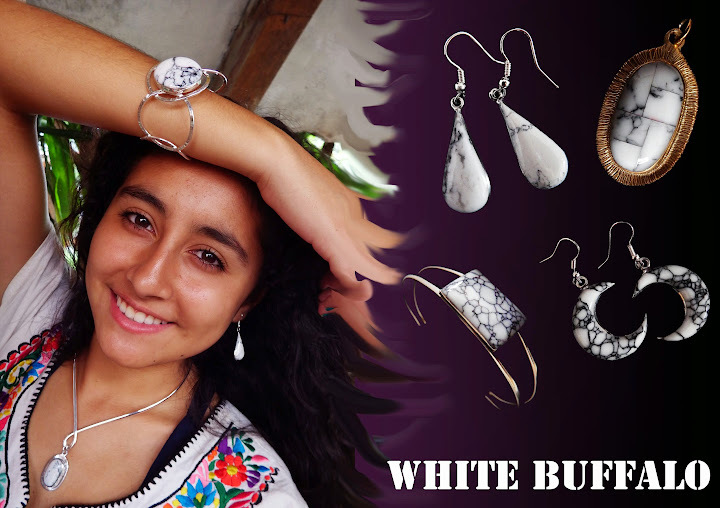 BZ-WB-003| White Buffalo Silver Overlay Bracelet. SMPR-WB-008| Small Post Earrings in Howlite Stone. ED2-WB-005| Curved Earrings en Howlite Stone. ED3-WB-002| Drop Earrings in White Buffalo. ED3-WB-005 | Dalmatian and White Buffalo Earrings. ED3-WB-008| Small Earrings in White Buffalo Stone. ED3-WB-009| Moon in Howlite Stone Pewter Earrings. SMPR-WB-007| Elegant Oval Post Earrings.